In the wake of the success of various ‘populist’ political campaigns such as Brexit and Trump, there has been a moral panic amongst mainstream news media. A rise in ‘Fake News’, propaganda and hyper-partisan publishing online has compounded the sense of a disruption of political journalism. This has fed into concerns about effects of a range of structural shifts in mediated deliberation, especially online. The accelerating news cycle combined with fears of polarisation, filter bubbles and increasingly subjective, relativist identity political discourse is seen by many as undermining traditional journalistic ideas of accuracy, balance, objectivity and evidence-based argument. The notion that we are in a ‘post-truth’ society has led to general questions about what we mean by truth and trust and, in particular, their relationship to technology. Sometimes described as the ‘affective turn’ in journalism, this is more than a shift in style towards the personal. It is a structural, cultural and ethical change in the operation and public value of journalism. It has positive aspects. Journalism that actively includes emotion as part of its networked creation and distribution is more engaging and shared. It offers opportunities for greater empathy, agency and relevance. It can add diversity and creativity to the formulaic nature of news. It can cross social and editorial boundaries and constraints. Most importantly, it can make journalism noticed in a communications ecology where ‘emotion’ is increasingly the fuel for driving attention and impact. To understand the emotional trend in the future of news it is important to locate it in the historical context of journalism’s perpetual struggle between subjective and objective poles. The role of emotions and populist politics is a symptom as well as an accelerant of the more general crisis of authority, trust and sustainability that the mainstream news media is going through. This paper will argue that to be effective, a new political networked journalism must embrace the emotional while reaffirming traditional – and much neglected – news media values such as transparency, expertise, and independent and critical reporting and analysis. But it must do this within a historic understanding of the way that journalism is changing. This binary of reason/emotion, truth/falsehood is embedded in western culture. 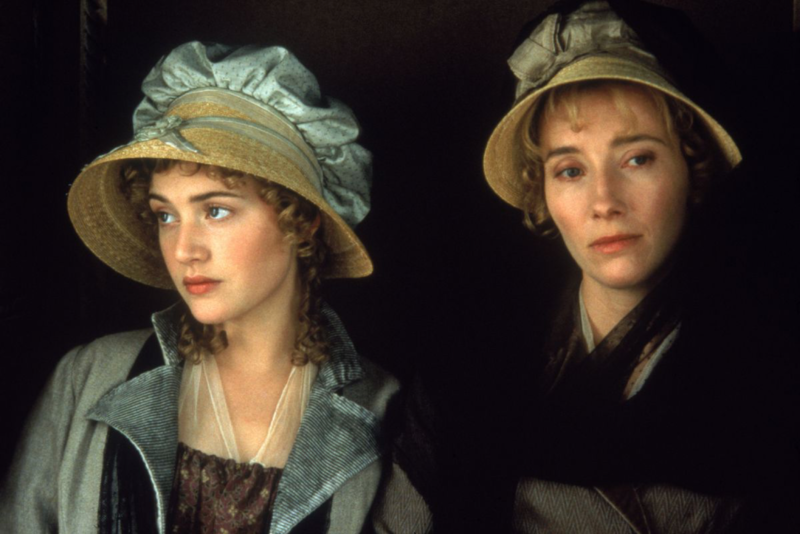 Hence the popularity of representations like Ang Lee’s 1995 take on Jane Austen’s Sense and Sensibility. 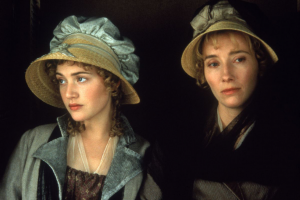 Emma Thompson plays dispassionate objectivity, Kate Winslett is befuddled subjectivity with Hugh Grant as the health public sphere and Alan Rickman as the distraction of social media…. Journalism changes in response to changes in technology, markets and society. The role of emotion has always been a key element and indicator of those adaptations. 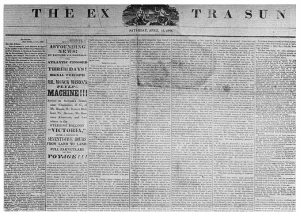 In the mid-nineteenth century, for example, a combination of urbanisation, mass literacy, national communications such as the railways, and the new technology of cheap printing created the conditions for the flourishing of the popular press in industrialised states such as America. This new commercial journalism competed in crowded city and national markets to provide compelling content for the public. This competition made it susceptible to becoming a platform for misinformation through exaggeration, selectivity and mistakes. 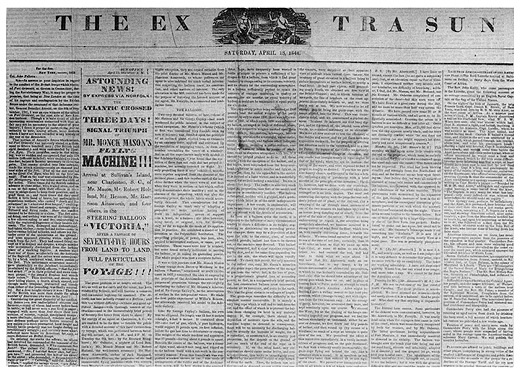 In 1844 the fiction writer Edgar Allen Poe tricked the New York Sun into printing his highly detailed and entertaining false account of a transatlantic balloon trip. It got extensive ‘traffic’ from a public hungry for exciting, personal stories of technological transformation. When forced to issue a correction revealing the hoax, the newspaper admitted it was ‘erroneous’ but said ‘We by no means think such a project impossible’. They felt that it should be true. Clearly, even then, the facts of a story mattered less than the demand for an emotionally resonant (and highly profitable) narrative. At that same time in America and Europe a more objective form of journalism was developing. An editorial culture of balanced and factual reporting evolved in newspapers. It was partly driven by commercial logic. Impartiality was a sensible strategy for news brands serving communities with diverse views. A code of rational, authoritative professionalism helped define and promote the value of mainstream journalism in an era where trustworthy information was becoming increasingly important to the efficient functioning of modern society and democracy. The growth of public service journalism in the 20th century, with the BBC as the outstanding example, meant that journalism on new technologies such as broadcasting adopted these values into its journalism codes. At the same time, emotions or ‘human interest’ remained a key selling point and a way of connecting consumers to issues. Titles self-consciously identified their audience. Rothermere’s Daily Mail, for example, created content targeted at the personal lives and attitudes of women. With broadcasting, the growth of reporter-led television news meant that journalists were acting as human intermediaries between a story and the public. More recently, as Rosalind Coward has chronicled, there was a growth in more emotionally-centred genres such as confessional journalism where the lines between private and public become blurred for the journalist as well as the subject. Emotion – or ‘human interest’ – was always part of modern journalism but the overarching claim that all mainstream modern newsrooms made was of a pseudo-scientific objectivity. Emotion was a marketing or stylistic tool rather than the core ethos. The Internet, and especially social media, has accelerated the emotional turn. There are various drivers of this shift. The first is economic. Competition has never been more intense. The Internet means that rivals are everywhere and endless. Distraction away from news is more immediate and accessible to the audience than ever before. As advertising revenues plunge, journalists have to fight harder than ever for every eyeball or ear. Tugging at heart strings is a tried and tested way to get attention. Secondly, it is about the technology and the algorithms or software that shape the flow of content across platforms and networks. Facebook is now arguably the most important ‘source’ for news in the world. Using emotional cues helps to get attention and to prolong engagement. Increasingly, journalism is now distributed not by transmitters or newsagents but by social media. People ‘discover’ news as much as they seek it out. Thirdly, it’s about a better understanding of audiences thanks to a mix of data and behavioural science. 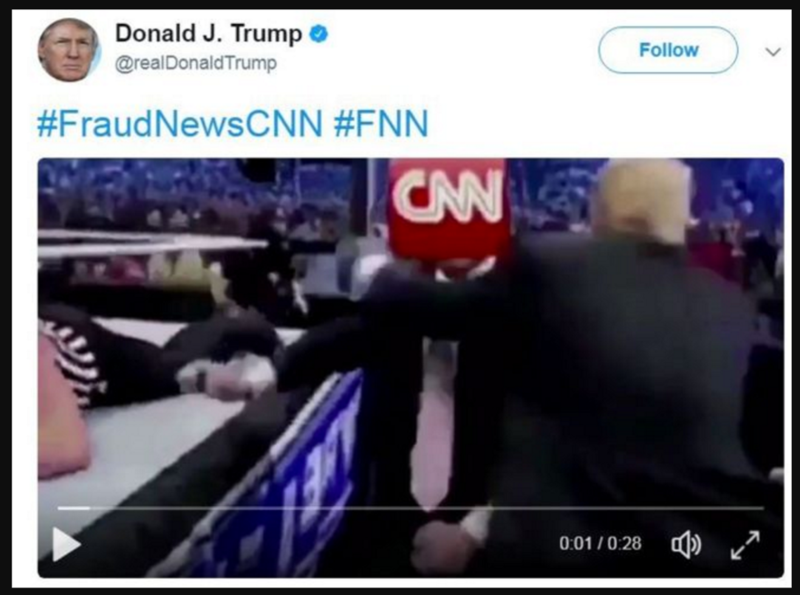 Knowing how people relate to the news on a personal level is essential to journalists trying to get the public to connect to their content. Sometimes people will have practical or professional reasons for finding news relevant, but the utilitarian theory of news consumption was always something of a myth. Journalists now have the technology and the audience data to measure news consumption as it happens and to adapt their production accordingly. Emotion is now a quantifiable factor that can be integrated into news production strategies. News is increasingly consumed via mobile devices. These are part of our intimate personal lives, literally at hand throughout our waking hours. The flow of content through mobile is a mixture of business, personal, entertainment and social content. News finds itself blended into the individual’s private and public media stream. Online and on mobile people do not distinguish easily between sources of information or even different genres such as news or entertainment or social. When they consume or share news information in those circumstances they do it for different reasons. It might be that they want to share facts and to inform people in their network. It is often that they are trying to promote a cause or issue that they care about. Increasingly, though, we are aware that the strongest motive is emotional. Through mediation they are defining themselves to others. Social media stands accused of fostering narcissism and putting pressure on people to perform and conform. It can even be used by extremists or aggressive individuals to cause harm and offence. But it can be good for our mental health and self-actualisation and it can help build communities. 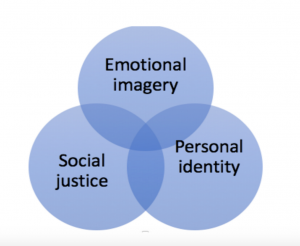 As news becomes part of social media so emotion, as a combination of identity and sentiment, becomes central to that process. This has coincided with the development of greater autonomy and disengagement amongst citizens, a decline in deference towards authority generally and the surfacing of more diverse views and feelings, expressed through social and other media. Mainstream media and politicians no longer control the information agenda to the same extent. But so far the response to that – as characterized by this cartoon – has been somewhat patronizing and panicked. The affective or emotional turn has heightened the perennial elite fear of the trivialisation and commercialisation of journalism. At a time of diminished resources for newsrooms the danger is that efforts are diverted from ‘serious’ fact-based, critical journalism towards ‘softer’, subjective journalism that stirs emotions but does not chronicle hard reality. There is a related fear that journalism that panders to people’s feelings, their prejudices and personal biases, will diminish the quality of information needed for vibrant and effective public discourse. A fragmented, unreflective relativism will replace reasoned argument. No-one doubts the reality of the business model crisis yet people are consuming more news from more diverse sources than ever before. New forms of journalism are creating more powerful and effective content that is able to reach new audience demographics. In the panic about standards and public value, emotion or subjectivity has become a proxy for fear of change. Before I suggest that it is possible, indeed, necessary to combine emotion and reason in a new way in journalism, let us examine three core concepts in this debate that need addressing. The ideas of truth, trust and technology are central terms in this debate that need re-thinking. Indeed, these ideas are so central to the debate about the future of news and information, that this autumn we are launching an LSE Truth, Trust and Technology Commission to bring together researchers, practitioners and civil society to set an agenda for countering misinformation. Fake news has crystalised the debate around misinformation and the dangers of subjectivity. False information causes harm in the real world, pollutes the media system and confuses consumers. But the wider problem is when we surrender the idea of proof or evidence in the face of the claim that speculation is justified because all views are worth airing. That way lies a universal cynicism that prevents positive deliberation. Desirable diversity is actually destroyed by indiscriminate publication. You do not have to believe we are in a post-truth world to accept that plurality can produce confusion. There is now a super-abundance of facts and opinions that are brought constantly and immediately into people’s lives through new media technologies. In the face of that perhaps it is not surprising that people increasingly rely on instinctive and emotional responses to consuming and sharing information. 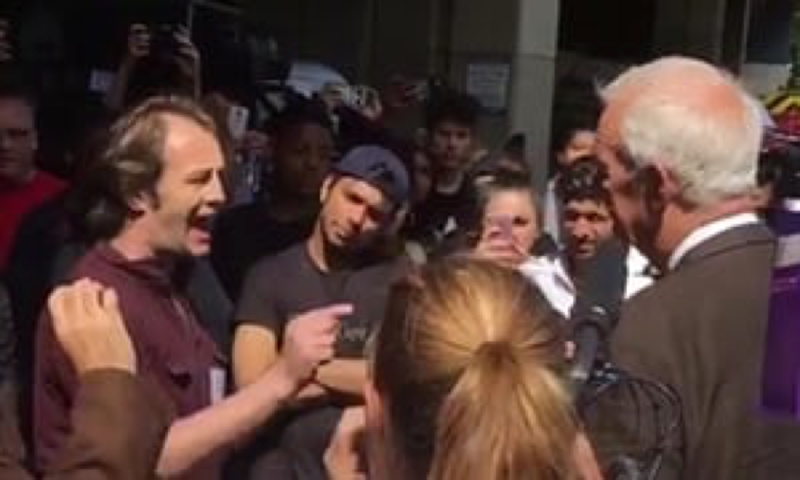 Part of that response is an increasing hostility to the idea of mainstream media seeking to impose its ‘objective’ values – an hostility that has been weaponized by some politicians and campaigners. In those circumstances journalism and other information producers cannot simply expect people to come to them for evidence and informed, balanced analysis. Instead of being keepers of ‘the truth’ they need to take their narratives to where the public are having those conversations and getting their information. The evidence from creating fact-checking websites is that objectivity in glorious isolation is not enough. Only a group of pre-disposed, interested people will use them. The verification must go to the places where people are emotional. Fake News is popular partly because of the lack of trust in the news media. Mainstream journalism was never as trusted as much as it likes to claim, and that is partly because it has often been as fallible, biased and unaccountable as the ‘fake news’ merchants that it likes to criticise. We need to redefine what we mean by trust. It should not mean blind faith. The trend away from deference towards scepticism is welcome in principle. However, that is not the same as unreflective cynicism based on emotions of fear and confusion. Trust surveys suggest that for many people it has come to mean that I trust the source I agree with. This promotes insularism or echo chambers. Media organisations that promote their own partisanship have been able to build strong emotional bonds of trust with their readers. Fox News for example is highly trusted by its audience and gets good ratings. This is one model for creating trust, however, is it possible for media to build a relationship of trust that combines an emotional bond with an openness to diverse views and rationality? Transparency and interactivity are key to this. Journalists should show sources, admit what they don’t know, and find better experts and information. In a personalised news environment they must listen to the audience and act with greater humility and engagement. The experience of the recent elections in the US and UK and from the Brexit vote, the rise of populism in established democracies in Europe, and even the recent Grenfell Tower tragedy in London, has shown that mainstream media is out of touch. It does not reflect the variety of views and experiences of people in a world where a combination of globalisation, technological change and societal shifts have restructured the way we live and communicate. Newsrooms have to go much further to understand and reflect the diversity of the publics they serve. This is partly about the composition of the news workforce as well as the content and the news agenda. But trust is not a given, it has to be earned every day. Critical to creating a relationship of trust must be to include the emotional element of those varied lives. Technology has enabled and amplified the shift to subjectivity. The platforms rightly insist that they are not conventional publishers. They have no ethos of objectivity. But can those technology companies adapt algorithms or software that uses the emotional drivers to create relationships that connect the public to reliable, diverse and relevant information and debate? Around the world newsrooms are going on new platforms such as Instagram or Snapchat to reach the public. Are they doing this to chase advertising and subscriber revenue or is there an editorial strategy that sustains the brand’s quality as well as income? There are too many examples of digital companies who now see audience data, personalisation and engagement as marketing devices rather than a way of building a sustainable relationship. We need to understand much better the role of media in people’s lives and the value that good information can bring to them. Emotions drive online social interaction and thus fuel the platforms’ profits. Can the platforms and networks facilitate a healthier digital public sphere without compromising the expressive value of the open Internet? Google, Twitter, Facebook and other digital intermediaries are facing increasing pressure to remove offensive, dubious or disruptive information from their networks. The platforms have removed material and closed millions of accounts in this clean-up act after pressure from politicians. They have adjusted algorithms to promote social good. But how much do we know about the principles that these platforms are acting on? Statements from tech leaders such as Mark Zuckerberg’s recent ‘vision’ document show that they are adopting a rhetoric that seeks to combine Facebook’s core content of ‘personal relationships’ with ideas of ‘community’, ‘civic-engagement’, and even ‘informed’ ‘common understanding’. It appears that Zuckerberg, albeit in very vague and even contradictory terms is attempting to reconcile emotional communication and the public value need for objective terms of debate. In this, technology companies and mainstream news media may not be so opposed. They face a similar task of synthesising the personal, social and political. Over the last decade I have argued for a networked journalism that deploys traditional journalism values within the setting of a transformed relationship with the public. Journalists have much-needed skills in processing information as well as ethical and political values that we need to sustain democracy. At its best it has a culture of independence, critical thinking, accountability and public service. When facing an overabundance of conflicting information, some people want objective facts in the sea of rumour. Hence the popularity of the BBC at moments of crisis. But this journalism must be networked by greater openness, interactivity and a sharing of production and agenda-setting with the public. How should this incorporate the emotional shift? The answer is not to return to a mythical model with journalists as gatekeepers of objectivity, though some bastions of that model will remain. To retain the confidence and attention of the public journalism needs to go with the grain of human nature on social media. Journalists need to think more about the personal as well as technological reasons why bad information is so popular. To help counter misinformation we need good journalism, but we also need to make journalism connect with the emotional lives citizens now lead online. Big Data needs to be broadened to ‘thick data’. Social media is not just a place to sell journalism but also where journalists can find out more about people’s lives, their feelings as well as facts. Here is a Venn diagram used to describe the ideal core components of one TV newsroom’s video for Facebook. The videos are usually versions of packages broadcast in the main bulletin, though edited and supplemented with text for mobile consumption. The videos will usually cover the same serious topics as the main programme which is an intelligent, international news and analysis programme. Their Facebook offerings have achieved remarkably high levels of engagement and sharing. It is interesting to note the priority given to emotional components or narrative ordering. This shows that while the ethos and style online has been subtly different, it is possible to combine emotional with ‘rational’ reporting. Although one result is that as people share this material they comment and reflect subjectively, so adding a further emotional element to the journalism. However, it could also be argued that by reaching a much larger and more diverse audience, the social media offering is extending the reach and impact of that more ‘traditional’ journalism and its values, too. One of the main criticisms of emotion in journalism is that it is innately unintelligent and unreasonable. Worst still, it drives us into filter bubbles of blinkered unthinking and intolerance. There are all sorts of reasons to query this thesis and the research is ambivalent. We can see that emotional responses can foster homophily. However, network algorithms and audience data can also be used to promote serendipity and contacts with different perspectives. New storytelling techniques such as scrolling texts and gamification work by creating emotions of pleasure and empathy in the consumer but they can also impart serious information and challenging ideas. There has been outstanding digital and social journalism around the European refugee crisis, for example, that uses these emotional techniques to explain the complexities of the issue while promoting empathy. Active users of social media appear to have a more diverse range of sources and come into contact with more various points of view. This is important because according to one new theoretical approach, reasoning is not a primarily logical function, it is for social consumption. Mercier and Sperber posit that for good evolutionary and social factors people are not good at producing reasons. We are familiar with confirmation bias and our inability to properly assess risk or proportion. However, we are much better at evaluating reasons when they come into dialogue. Irrationality becomes reasonable – if allowed proper exchange. The crucial insight of this is that emotion should not be denied a place in that argument, it is a vital driver towards deliberation. We don’t need to agree on political assumptions or even particular rational conditions. But we do need to have ways of disagreeing and working towards progressive solutions where conflict is not harmful. This seems to me to be a central task for journalism if news media, through the new technologies, is to build a healthier public sphere. To achieve this journalists must be more emotionally literate. They must extend the purpose of personalisation beyond mere marketing. Emotion can facilitate engagement in deliberation when done creatively. Digital native news media such as VICE, Teen Vogue and BuzzFeed do this well because they understand the affordances of social and are not hidebound by crude notions of objectivity. However, legacy newsrooms are also adapting even with highly factual techniques such as data visualisation. A bar chart is about as factual as journalism gets, but more imaginative data visualisations, for example, understand the emotional element in design. 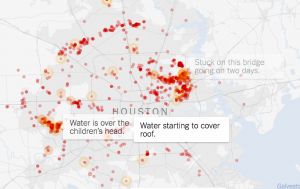 This example from the New York Times coverage of the Houston floods shows how you can combine real public date to create a narrative that is factually accurate, objectively informative but also highly empathetic and emotionally compelling. There are a lot of short-term tactics that seek to land grab share or attention by taking emotional short cuts. The notorious ‘pivot to video’ is a good example at its worst of seizing upon a social media-effective device without considering what value the news brand is adding. Journalism has always been made up of low-quality, commercially content. It is, after all, a business and an entertainment. 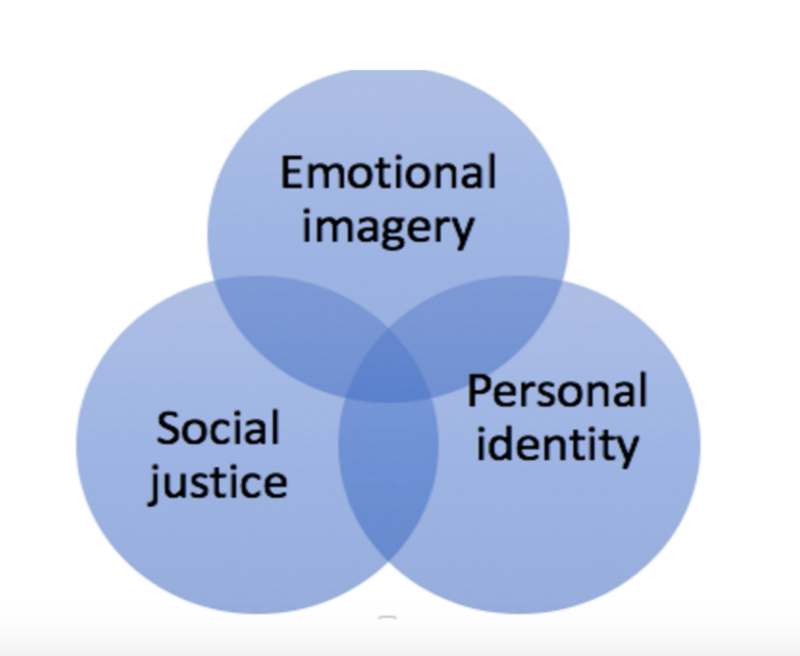 But for those that aspire to greater good, it is vital that the do not ignore emotion as a key element of connecting the public to their content. As Mark Deuze and I wrote, “The challenge for the networked journalist is clear: how best to sustain the ethical, social, and economic value of journalism in this new emotionally networked environment.” To do that most successfully they will need an understanding of the emotional history of journalism and its evolving next phase. 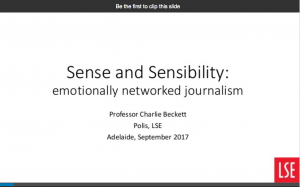 This article by Professor Charlie Beckett (@CharlieBeckett) is from a talk at Adelaide University. You an access the slides for this talk here or click on the image below.